It took us a while but Good For Nothing has finally landed in Birmingham and it promises to be a tasty one. We'll be getting together for 24hours of thinking, making and most importantly doing. 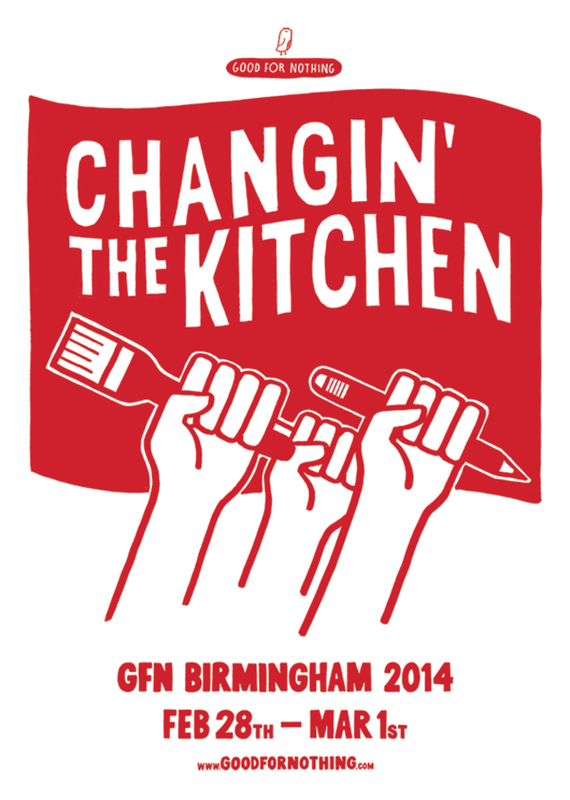 And we are honoured to be working with the lovely people at ChangeKitchen. No matter whether you are an illustrator, developer, designer, animator, copywriter, artist, marketeer, musketeer, astronaut, strategist, thinker, tinkerer, sailor, soldier or spy, you will have a skill that can contribute to achieving amazing things for ChangeKitchen. The event will cost you nothing but your time, and as long as you bring your thinking cap, a bucket of enthusiasm we guarantee you will leave with a spring in your step. We'll be kicking off our first ever gig on Friday 28th February. Meeting at 6pm in a city centre cafe/bar for some relaxed drinks and chatter and to learn more about our challenge with ChangeKitchen. Founder Birgit Kehrer (who some of you met at our social back in October) will be joining us to talk first hand about the brief and answer any questions you may have...this will be some nice time to relax and socialise with the rest of the Birmingham GFN group. Get those creative thoughts flowing. On Saturday we'll meet at ChangeKitchen's Kitchen, where we begin a day jam packed full of creative, thinking, making and doing. Bring any tools you use along (laptops/ipads/sketchbooks) and we'll provide the music and materials whilst keeping you fuelled with some beautiful food and fancy tipples. If you are still unsure where you fit in, why not pop along anyway? Bring a friend or two. If you are in let us know by pressing the I'm coming button or joining via attending.io/events/gfn-birmingham-24hr-gig-changin-the-kitchen. We look forward to doing something good with you. Our full company name is ChangeKitchen CIC. 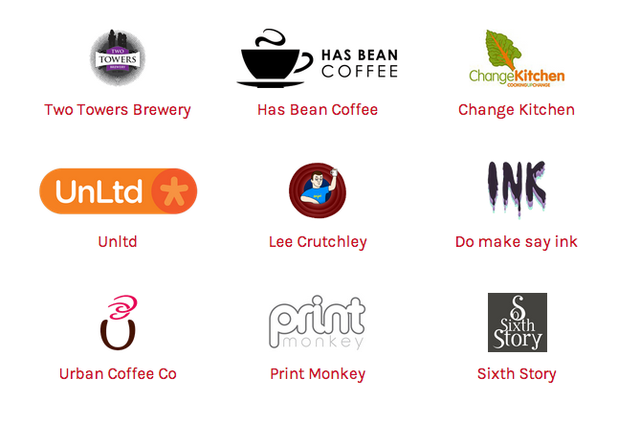 CIC stands for Community Interest Company. We’re a social enterprise, proud to be cooking up change for disadvantaged people in Birmingham, as well as delicious food. 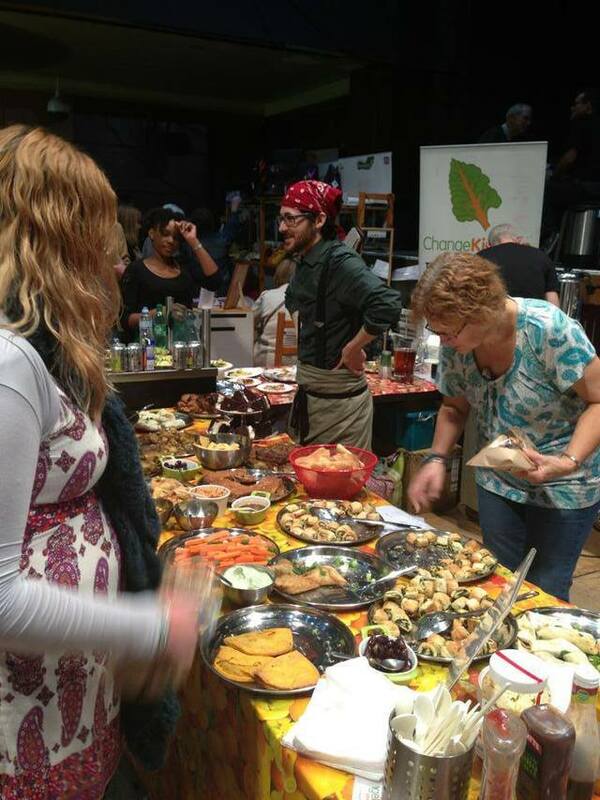 The single biggest difference between ChangeKitchen and other event caterers is that we create and serve our food differently; we want our clients and customers to celebrate sharing a meal, as well as fuelling their bodies. All of our food is fully vegetarian (always with vegan and gluten-free options), so everyone shares food from one table. Our food is designed to bring people together, rather than dividing them, we don't create individual platter sections for people from different ethnic, cultural or religious backgrounds. We take pride in serving food which really celebrates diversity. ChangeKitchen’s mission is to be part of a revolution that turns access to healthy eating away from a privilege to a right for everyone.